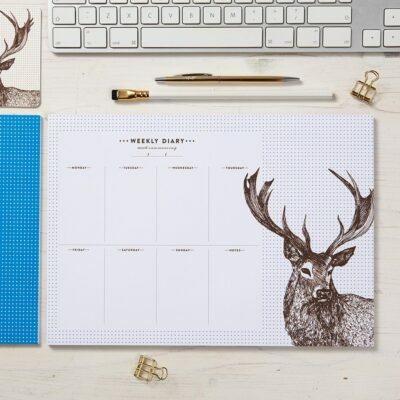 View our collection of stag animal gifts including stationery, bags and kitchen gifts. This magnificent, majestic creature is a deep thinker who enjoys reflecting on life as it watches the world go by. Private and enigmatic, the stag has a strong presence and is highly adaptable to new environments. Did you know?…the stag is Britain’s largest native land mammal and will travel great distances when in mating season?